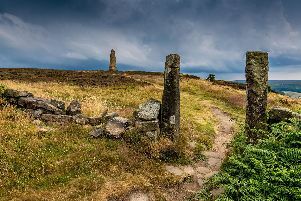 Ravenscar dark skies'picture: Tony Bartholomew. The North York Moors and Yorkshire Dales National Parks will be running a Starmakers initiative to recruit and develop a band of expert astro-guides to meet the booming interest in stargazing and the night sky. With the Dark Skies Festival now an annual fixture and a rising level of enquiries about other stargazing evenings throughout autumn and winter, the parks are keen to train more people who can share and explain the beauty of the night sky happenings with visitors. A Starmakers programme has been established to provide astronomy and presentation skills so that more events can be held throughout both National Parks, plus the two Areas of Outstanding Natural Beauty (AONB) in the Howardian Hills and Nidderdale. Initially the parks are looking for 12 Starmakers who will then support accommodation providers and local communities to host ticketed astronomy events. The weekend’s training in 2018 will include practical and theoretical astronomy presentation techniques aimed at navigating the night sky with the naked eye as well as using a telescope. Customer service and tips on running events will also be included. Training is free. The first tranche of astro-guides will help support the fourth Dark Skies Festival in February 2019.